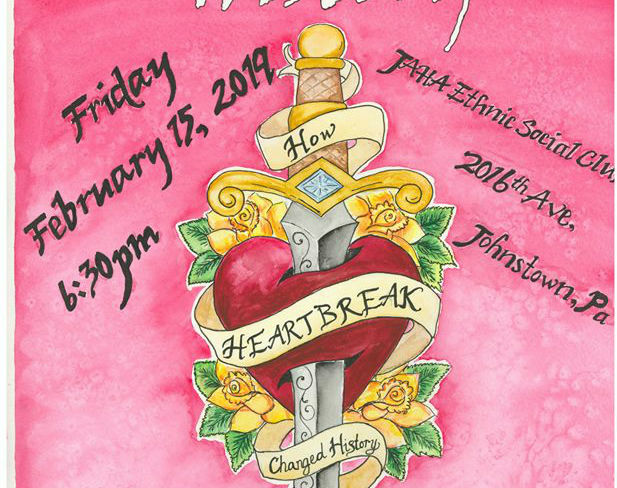 Presented by the Friends of Flight 93 in partnership with the National Western Parks of Pennsylvania and the Johnstown Area Heritage Association, this live-skit comedy event “How Heartbreak Changed History” is modeled after the popular TV series Drunk History. 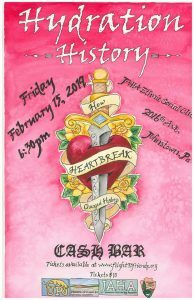 The event will feature six storytellers presenting short stories on how love, good or bad, influenced local historical events. 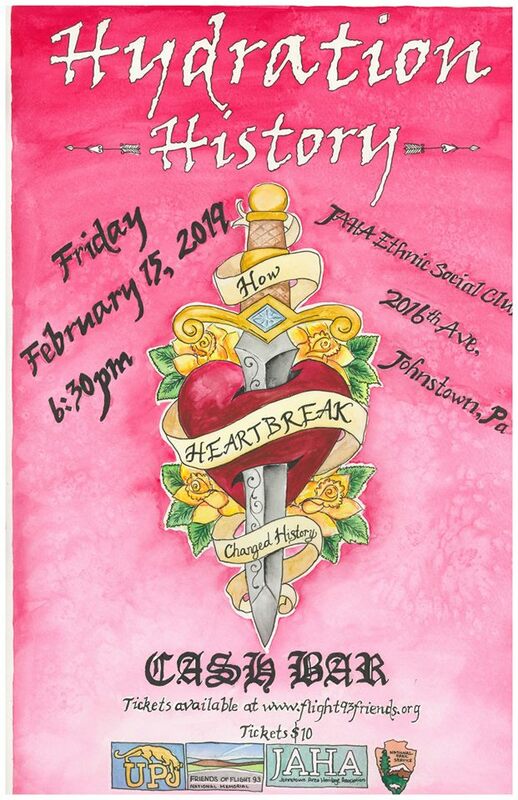 The event, which will be held in the Ethnic Social Club of the Heritage Discovery Center, will also include trivia during the story breaks, a Q&A session at the end of the night, and a cash bar. All proceeds will go to support the National Parks of Western Pennsylvania’s Alternative Break Service Program. The National Parks of Western Pennsylvania will host 12 students from the University of Pittsburgh’s Johnstown (UPJ) campus for their second annual Alternative Break Service Program during UPJ’s 2019 spring break period. These students will be housed at a local camp and spend a week performing direct service at several of Western PA’s National Parks as well as one state park. Along with completing service projects the students will also learn about the parks they work in. Alternative break programs were developed to give students a holistic volunteer experience through direct service and educational programing during their time away from class. 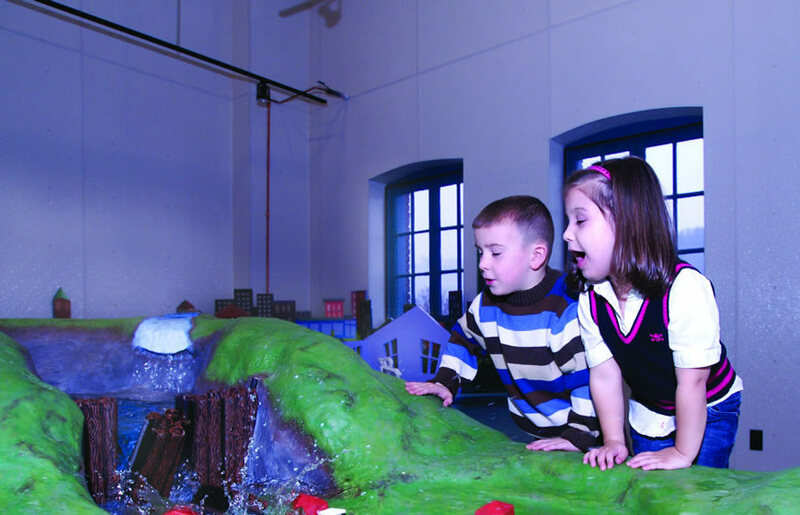 The event staff will consist of National Park Service rangers from Flight 93 National Memorial and Johnstown Flood National Memorial, faculty from the University of Pittsburgh at Johnstown, the Director of Interpretation for the National Museum of Civil War Medicine and the Clara Barton Missing Soldiers Office, the Friends of Flight 93 and the Johnstown Area Heritage Association. Register now for Hydration History on the Friends of Flight 93 website at www.flight93friends.org/hydration-history. Tickets are $10 for all attendees. You must be 18 years old to attend and 21 years of age to drink; ID’s will be checked at the door. Doors open at 6:30 p.m. the night of the event.